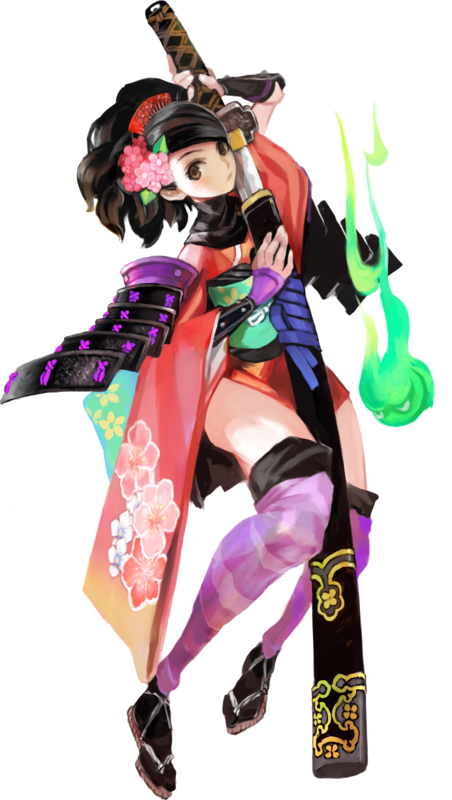 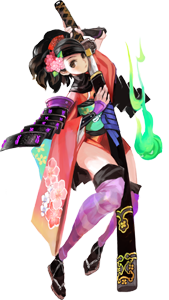 Momohime is one of the main protagonists in Muramasa: The Demon Blade (2009) by Vanillaware for the Nintendo Wii and its 2013 PsVita port Muramasa: Rebirth. The game describes her as the Princess of Narukami who is possessed by a demon. 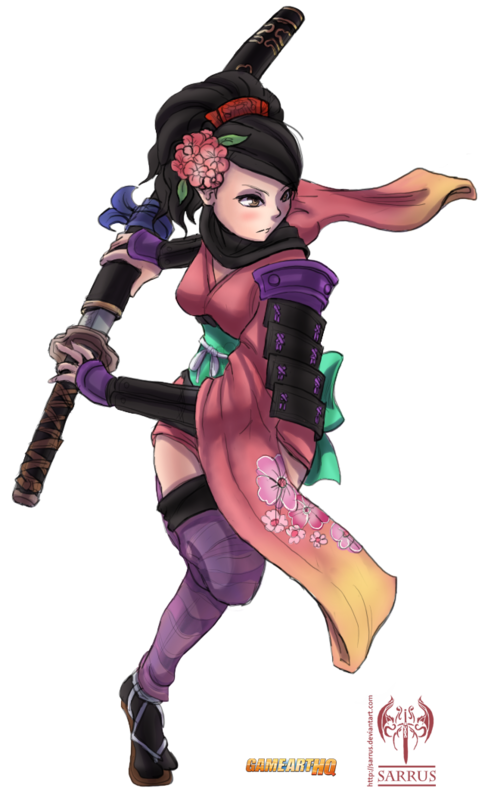 The Muramasa games are beat’em ups in 2D, Momohime fights with a Katana Sword. 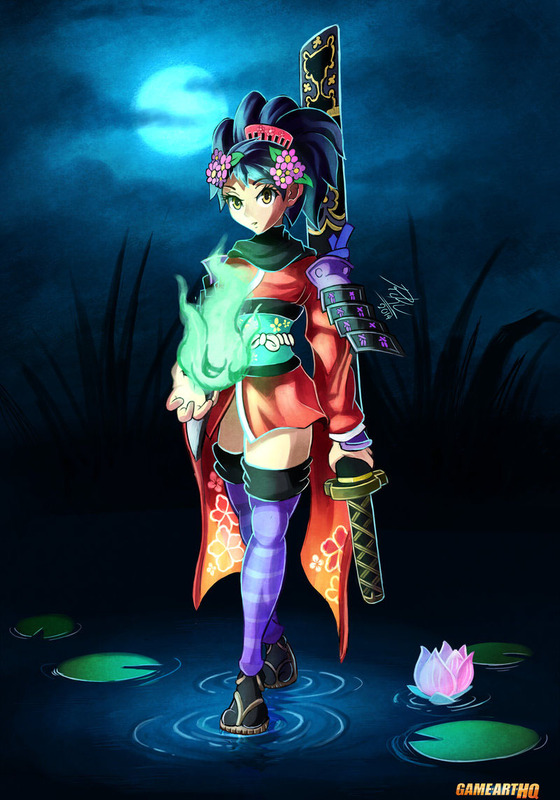 by Eduardo J. Pérez M.
Momohime – The Oboro Style Master!